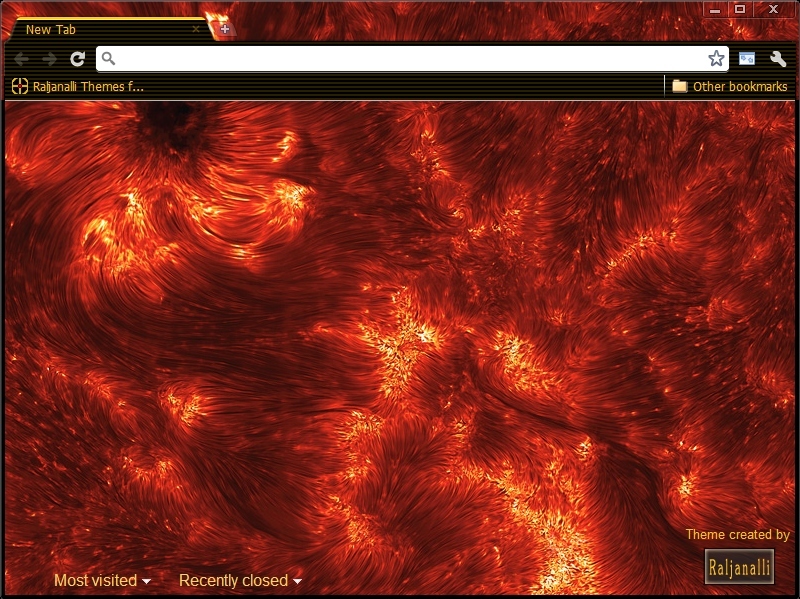 The RedSunSpicules OpticAmber NSO1 theme features a high resolution image of the surface of Sun coupled with easy to read high contrast amber text on a dark background. It's a fascinating image of the spicules - narrow, short-lived, 3000+ mile high supersonic jets of hot plasma that burst out from the surface Sun - that create a texture of peaks and swirls on a grand scale. A sunspot is also visible in the top left corner of the image.